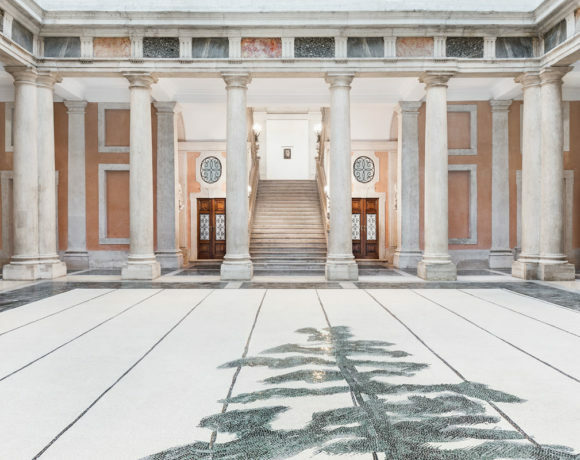 ICA opens in Milan with 'Apolo.. Since the end of the 60s Goran Trbuljak (b.1988, lives and works in Zagreb) investigates with irony and intelligence the limits of making art and the existential status of the artist through alternative tools of production and representation that foresee the constant renegotiation of the border between art and anti-art. His broad expressive vocabulary (paintings, frottage, monochromes, photographs, films, books and performances) builds an anti-heroic strategy that questions the artist’s mythology and the aura of the work. His attitude stands in open opposition to the socialist modernism in vogue in the ex-Yugoslavia at the beginning of his career and in the direction of a subtle demystification of the conceptual excesses of the avant-gardes of the period. The exhibition Before and After Retrospective at Villa delle Rose, created in collaboration with the Center d’Art Contemporain Genéve and with the P420 gallery representing the artist in Italy, traces the main stages of his creative story to show how his solitary work was from the beginning anticipating some of the main trends of postmodernism. The exhibition was also an opportunity to publish the first detailed monograph of Trbuljak, which deepens his poetics from a historical and critical point of view, restoring centrality to a research so far not adequately enhanced by mainstream circuits. 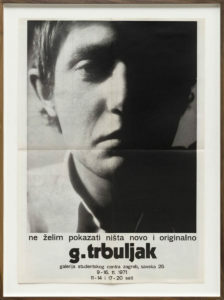 The main features of his research, that is the questioning of the prestige and uniqueness of the artist, the use of statements, irony, freedom of thought, ephemeral situationism and critical dissimulation, are well defined since the youthful years, when Trbuljak made his debut with a series of anonymous actions on the streets of Zagreb. For example, in 1970 he installed photocopies of photographic images that document holes in the asphalt, or he affixed to the door of some buildings the signposts with the words “all the tenants of this building are good and intelligent”, up to the Referendum in which he asks passers by asking them if they consider him an artist and gathering their opinions in a rudimentary electoral urn. 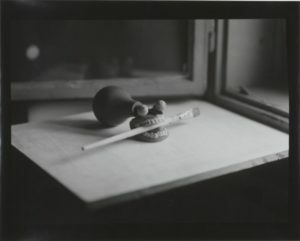 In a short time the signs of his passage spread and aroused the curiosity of the artistic environments: in 1971 Trbuljak was invited to exhibit in the gallery of the Student Cultural Center in Zagreb, where he stages with a radical gesture his impossibility of being an artist and his conflicting research will. The whole exhibition consists of a single work, a photographic poster that portrays his melancholic and partially shaded face with the words I do not want to show anything new and original followed (for the first time) by his signature. The evident oxymoron of denying the novelty while deflagrating it, the emphasis on anti-heroic artistic attitude and the humanization of conceptual language applied to the investigation of his individual fragilities and not, as usual, to the deontology of art are the fundamental aspects of a research that will prove to be inexhaustible. 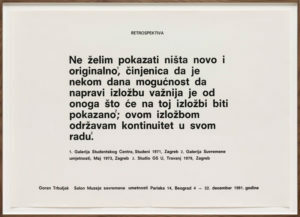 The next 10 years he sees him as protagonist of three other “empty” exhibitions at the Gallery of Contemporary Art in Zagreb, in each of which he exhibits only a poster with statement. In the poster of the last, titled Retrospective (1981), appear all the previously released statements and that is the only “retrospective” that the artist recognizes as such (hence the title Before and After Retrospective of the exhibition at Villa delle Rose). In 1977 he was invited to the prestigious Galleria del Cavallino in Venice, where he decided to exhibit a series of reproductions of posters of other exhibitions held in that place and dedicated to prestigious artists such as Jean Dubuffet, Alexander Calder, Georges Mathieu, Man Ray and Paul Klee, as if to declare his own hierarchical inadequacy towards these titans of art. In the catalog his name appears written in smaller characters than the gallery address, implying that success depends more on the influence of the gallery’s contacts than on the artist’s value, while in the invitation he writes his name in large but modifying that of the gallery establishing a correspondence between the little known artist and the fake gallery. 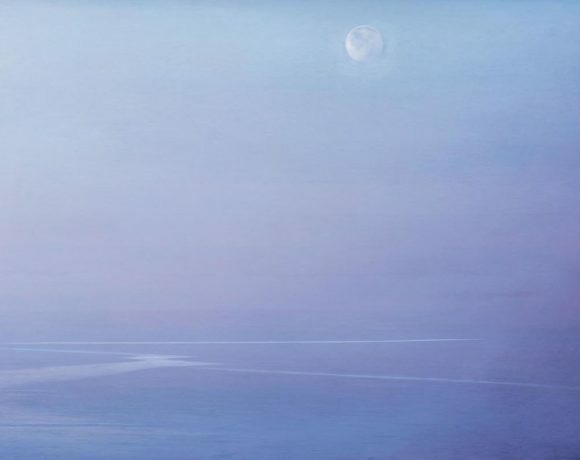 In these actions it is clear how Trbuljak considers irony a powerful maieutic instrument and (perhaps the only one) possibility of his existence as an artist. Contrary to the great masters praised by the critics, he identifies his field of action not in dismantling the credibility of the artistic institutions but in the continuous deduction of his own intellectual insecurity. Although in reality the capacity for self-criticism is an irrefutable manifestation of boldness and firmness of thought. In the 70s Trbuljak began a wide cycle of works that experimented with various possibilities of reinvention of painting, which he systematically practiced through its denial. The starting point of this research is the Sunday Painting performance, in which the artist, identifying himself in the “Sunday painter”, paints illegally on a framer’s window during the weekly closing day, so that if looked through the glass his painting from afar gives the illusion of being on one of the canvases mounted on an easel and exposed for sale. 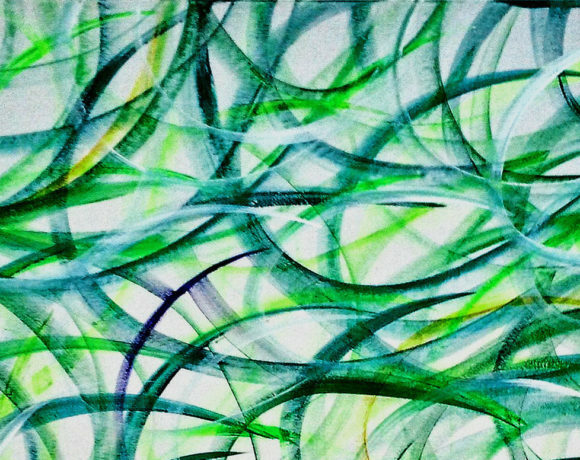 Subsequently he creates refined abstract paintings through non-pictorial procedures, which require the observance of an action protocol decided a priori, such as framing the white canvas and impregnating it in color from the back using various types of shielding, pouring the color through holes drilled in the frame or in the protective glass or rubbing the covers of the magazine Artforum on the pictorial support to obtain a delicate frottage. 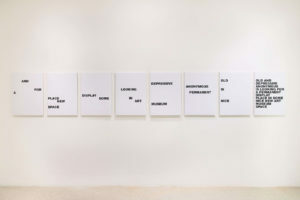 Another of Trbuljak’s obsessions is that of his own name, which he breaks down, conceals, and constantly searches every time he finds himself dealing with printed or painted words. His experiments in conceptual poetry are also very refined, such as “Old and Depressive Anonymous is looking for a permanent display place in some nice new art museum space “, a phrase that appears first fragmented into a series of paintings in order to create caustic associations according to reading order (as depressive museums / anonymous permanent / old is nice) and then whole on the final canvas that expresses his fixed thought, the doubt about himself, the fear of failure and the crisis of identity as subjects of his own operate. The excruciating series of books and hand-made monographs, precious catalogs of repeated geometric fixations in which the artist has always vented his frustrated desire for painting, are a counterpoint to these rigorous intellectual devices. Ideally, the exhibition ends with a photographic self-portrait depicting a funny character composed of a denture, a trumpet, a brush and two large rubber eyes that irony on the recurring attributes of the painter’s self-representation in the history of art.